May 16, 2018, 8:27 a.m.
Last week, car manufacturer BMW announced that it would be recalling certain cars after it was found that some vehicles could completely cut out while being driven. The recall covers both petrol and diesel vehicles from the BMW 1 series, 3 series, and X1 models manufactured between March 2007 and August 2011. YouGov BrandIndex data enables us to take a look at the immediate effects the recall has had on the brand’s perception so far. Negative noise around the brand has certainly increased. The number of people hearing bad things about the brand has risen from four to 19 within the past 10 days. There has also been an increase in the number of people talking about the brand with their friends and family, with its word of mouth score increasing from six on 10 May to 15 on 13 May. The story also seems to have driven a decline in consumers’ impressions of the car manufacturer. 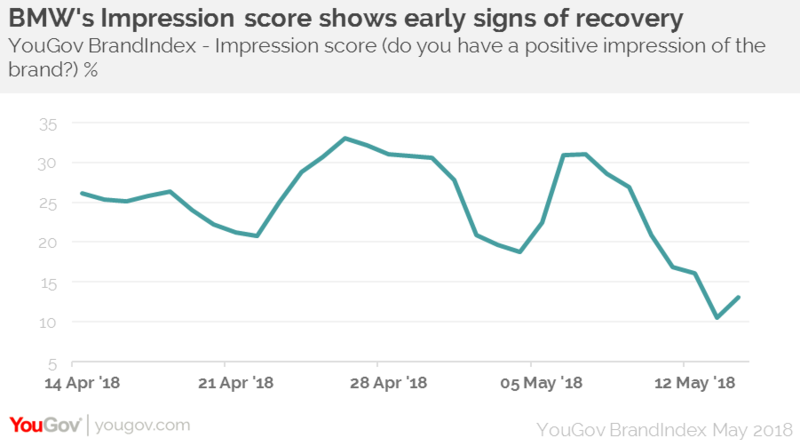 Its impression score (whether someone has a positive impression of the brand) fell from 31 to 11 in the week following the news of the recall. When compared with other car manufacturers’ recent problems, BMW’s public perception hit seems to be relatively minor. During Volkswagen’s emissions issues in 2015, its impression score fell from 38 to negative 26 in the space of 10 days – a decline of 64 points. BMW certainly seems to have helped itself with its initial response to the recall – being open and up-front about the situation. 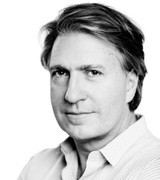 It has also been able to fall back on previous brand strength to soften the impact. Despite the news that features of some cars were fundamentally broken, BMW’s quality score (whether someone thinks the brand represents good quality) still sits high at 93 among its current customers. While it’s too soon to say whether the recall will have a long lasting effect on the BMW brand, it seems as though its initial reaction has paved the way to minimising impact on the brand’s perception overall.